In the past, hearing evaluations and fittings for hearing aids consisted mostly of a series of beeps and noises. 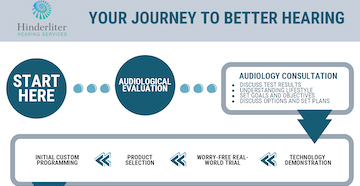 Today, audiologists are equipped with new technologies and methods to make the hearing evaluation process and hearing aid programming process more effective. Probe microphone measurements or real ear measurements (REM) allow the audiologist to evaluate the function of your hearing aids while you are wearing them. This evaluation guides the audiologist in making the necessary adjustments to assure optimal amplification. The shapes and sizes of everyone’s ears, ear canals and head are quite different, and the degree and type of hearing loss varies from individual to individual. 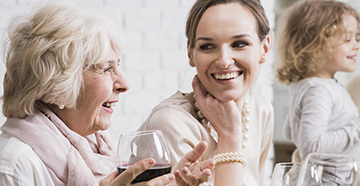 As a result, identical hearing aids may function quite differently in one person’s ear than on another person’s ear. To perform REM, the audiologist will place a tiny microphone into your ear canal. Sounds are then presented to the open ear to measure the effects of your open ear canal on the sound. Your hearing aid is then inserted and measures are made of the same exact sound in your ear canal with the aid in place. The difference between the two measurements is called the real-ear insertion gain of your hearing aid. It tells your audiologist a great deal about the quality of the sound you are receiving. Once the real-ear insertion gain of your hearing aid is known, it can be compared to widely used amplification prescriptions, such as the National Acoustic Laboratories-Revised (NAL-R), (NAL-NL1) or (NAL-NL2) prescription, the Libby prescription, the Prescription of Gain and Output (POGO) or any newly developed prescription. If there are differences in the prescribed sound quality and the measured sound of the aid, your audiologist can make necessary adjustments and take new measurements to fine-tune your hearing aid to provide the best possible sound, and therefore, the most possible benefit. Probe Microphone Measurement is truly a wonderful new technology for audiologists, the hearing-impaired individual, and their families alike. Contact your audiologist to find out how Probe Microphone Measurement can provide you with a more enjoyable hearing aid experience.